Every vehicle on the road needs to be properly maintained in order to drive right and keep on driving the way you want. When you own a luxury vehicle, such as an INFINITI model, you’re spending more to enjoy the experience that makes a lot of sense for you on the roads that you drive every day. In order to keep your vehicle running the right way, you need a service team that can help you make sure your regularly scheduled service can be performed when needed. When you turn to the right team to help you maintain your INFINITI vehicle, you need experts that can get the job done the right way. The service team at Ray Brandt INFINITI have been specially trained to make sure your vehicle will continue to offer you the exceptional performance you want to enjoy. The vehicle you drive is offered with superior craftsmanship and features that make it the right one for you to drive and the team at this dealership will use only certified parts to help you keep your vehicle driving right on the roads near Kenner, LA. You purchased your new INFINITI vehicle form the team at Ray Brandt INFINITI, but that’s now where the experience ends. While the sales staff was able to excite you and offer you the sales experience that’s unmatched in the business, the service team has the responsibility to keep your positive opinion of this dealership. That’s a big responsibility that they take very seriously in order to make sure you can have the drive you want and the comforts that you expect from your INFINITI vehicle. Your INFINITI vehicle is a luxury model and as such, everything about your experience with it should reflect the sophistication and refinement offered for this vehicle. For this reason, you can use the online service scheduler to schedule your appointment with Ray Brandt INFINITI in order to have your regular service performed. This team uses only certified INFINITI parts to service your vehicle so you know you’re always going to receive the best service and be able to have the luxury ride you want on the roads near Kenner, LA. Go online and get your appointment set today. 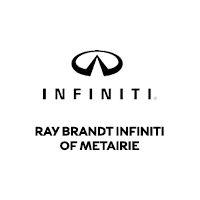 The team at the Ray Brandt INFINITI service center not only uses certified INFINITI parts to service your vehicle and keep you on the roads near Kenner, LA, they’re also your ownership partner for your vehicle. This team knows your vehicle and will help you have the driving pleasure you want on a daily basis. Whether you need a repair performed or simply regular service, you can trust this team to help you have exactly what you want and need for your INFINITI vehicle. Come in and let this team to get to work for you.